Bright mahogany color. Aromas of molasses, almond biscotti, leather, olives, tamari, toasted coconut, and red bean confection with a slightly chewy, crisp, dry-yet-fruity medium-to-full body and a warming, interesting, medium-long chocolate truffle, cloud berry, star anise, carob, raisins, and dried figs finish. A chewy, sherry-influenced tropical whiskey that will be very attractive to rum drinkers. 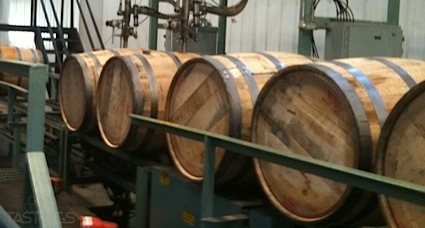 Bottom Line: A chewy, sherry-influenced tropical whiskey that will be very attractive to rum drinkers. 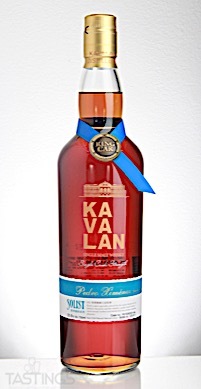 Kavalan Solist Pedro Ximénez Sherry Single Cask Strength Single Malt Whisky rating was calculated by tastings.com to be 94 points out of 100 on 7/11/2018. Please note that MSRP may have changed since the date of our review.